Concrete is a popular building material, used universally for its durability and its resistance to heat. The Portland Cement Association indicates that concrete can have different strengths, and it's therefore necessary to take into consideration the heat loads, or the specific amount of heat that concrete can withstand in the event of a fire. 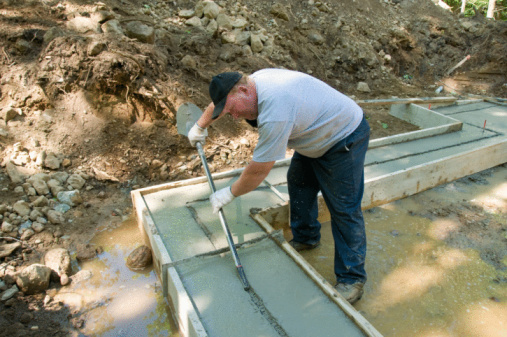 Concrete is generally classified according to three major characteristics. These classifications are determined based on the type of material or aggregate the concrete contains. Siliceous and carbonate concrete are considerably stronger than the third type, lightweight concrete. 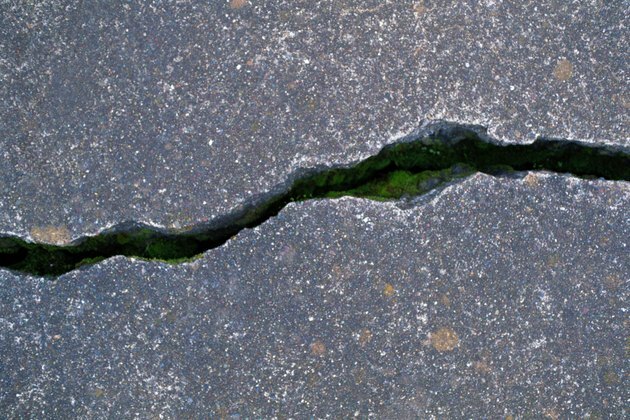 Known for its strength and durability, concrete is still subject to stress fractures. The primary difference between siliceous and carbonate concrete is the type of material of which each consists. Carbonate concrete consists of aggregate that is primarily composed of dolomite and limestone. 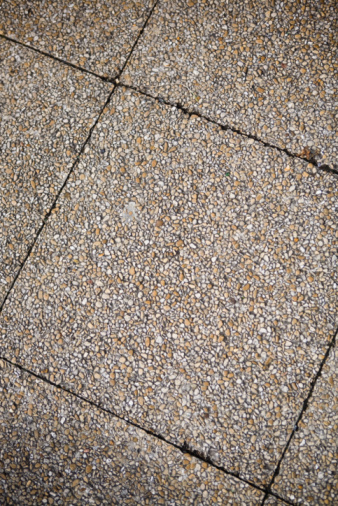 Siliceous concrete, on the other hand, consists primarily of sandstone and granite, but also contains silica. These are stronger than lightweight concrete, which made up of shale, clay and slate. One way in which both siliceous and carbonate concrete differ is in their thermal conductivity. Thermal conductivity is the ability of a material to conduct heat. Siliceous concrete has a higher thermal conductivity than carbonate concrete. Siliceous concrete has higher thermal conductivity primarily because it has a higher level of crystallinity than carbonate concrete. The strength of carbonate concrete tends to be greater than that of siliceous concrete when both are subjected to extreme heat. The Portland Cement Association indicates that the strength of siliceous concrete begins to wane at about 800 degrees F and its strength is cut by more than half once it reaches a temperature of 1,200 degrees F. Carbonate concrete will retain most of its strength all the way up to 1,200 degrees F.
Thermal expansion is one other way in which the differences between siliceous and carbonate concrete are seen. The type of aggregate also influences the level of thermal expansion. For carbonate concrete thermal expansion increases significantly above 932 degrees F due to the dissociation of dolomite, according to the National Research Council of Canada. Siliceous concrete, on the other hand, will expand up to about 1,292 degrees C, at which point the concrete's expansion stabilizes.